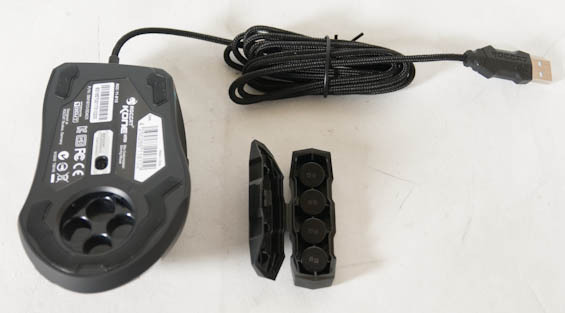 Neither of ROCCAT's mice look overstated or obnoxiously "loud" and I like the idea of adjustable weights. While I'm partial to an Evoluent VerticalMouse 4 series at work because of the acknowledgement to ergonomics, I can't see myself gaming on something that's turned sideways. The Kone XTD in particular catches my interest. The only thing I'd like to see added to the design is (bear with me on this) a micro SDHC card slot buried someplace in it. With programmable profiles stored on the mouse, it would be nice to see some ability to cart a game, documents, or portable app suite around with me and maybe the mouse's drivers so I could drop it between PCs without needing to tote a thumb drive. I only suggest user replacable flash for the sake of upgradeability and, depending on how hard you thrash your portable storage, fault tolerance. Got one of these the other day, upgraded from a Logitech G5 and had loads of other gaming mice before that. This is miles better including the software which is excellent, i've not found one bad thing about the Kone XTD so far... best mouse i've used. The higher dpi is not meant for making it faster, but to enhance precision. Now you are able to make more precise movements. If the game is poorly programmed, the in-game menu mouse speed will be crazy fast like in windows because the sensitivity affects only camera movement. Did I forget anything? I'd recommend Quake 1. Anyone else want to suggest something more modern? Except for menu speed, Minecraft meets those requirements (disable vsync and set view distance to tiny to max out fps). 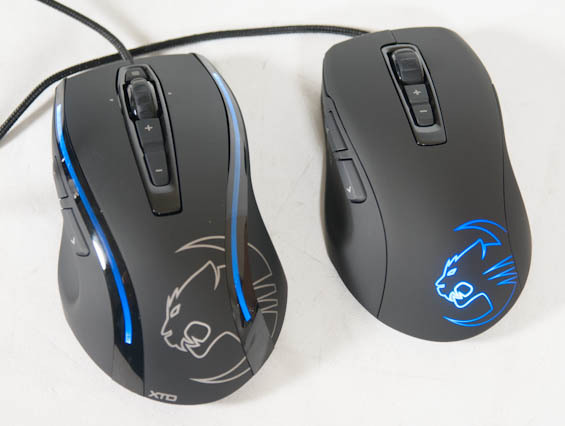 I've got a Roccat Kone[+] (plus), and before that i had the original Roccat Kone for 4 years. I made the switch from MX518, which is basically the prior iteration of the G500. The reason it takes a while to apply changes in the software is because they are flashed onto the storage in the mouse, which is a self-contained unit. Everything you can access in the software is hosted on the system integrated in the mouse, you can plug your mouse into a system that doesn't have the software and you still retain all your configurations, profiles and macros. This is a big selling point for users that can make use of this functionality, be it gamers that travel and use other machines, or for productivity work on many different machines. A mouse is not too big to carry with you if it increases productivity and ergonomy notably.